The Battle of Stalingrad took place between July 17, 1942 and February 2, 1943, during the Second World War. On June 22, 1941, Nazi Germany launched Operation Barbarossa (Unternehmen Barbarossa). 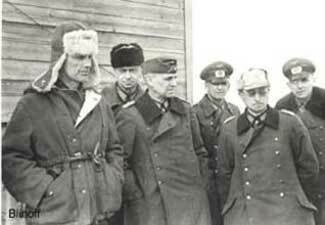 The armed forces of Germany and its allies invaded the Soviet Union, quickly advancing deep into Soviet territory. In December, having suffered multiple defeats during the summer and autumn, Soviet forces counter-attacked during the Battle of Moscow and successfully drove the German Army (Wehrmacht Heer) from the environs of Moscow. Before the Wehrmacht reached the city itself, the Luftwaffe had rendered the Volga River, vital for bringing supplies into the city, virtually unusable to Soviet shipping. Between 25 July and 31 July, 32 Soviet ships were sunk with another nine crippled. The battle began with the heavy bombing of the city by the Generaloberst von Richthofen’s Luftflotte 4, which in the summer and autumn of 1942 was the mightiest single air command in the world. Some 1,000 tons were dropped. 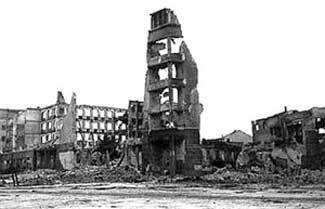 The city was quickly turned to rubble, although some factories survived and continued production whilst workers joined in the fighting. The Croatian 369th Reinforced Infantry Regiment was the only non-German unit selected by the Wehrmacht to enter Stalingrad city during assault operations. However, Hitler was so focused on the city itself, that requests from the flanks for support were refused. The chief of the Army General Staff, Franz Halder, expressed concerns about Hitler’s preoccupation with the city, pointing at the Germans’ weak flanks, claiming that if the situation on the flanks was not rectified then “there would be a disaster”. Hitler had claimed to Halder that Stalingrad would be captured and the weakened flanks would be held with “national socialist ardour, clearly I cannot expect this of you (Halder)”. Halder was then replaced in mid October with General Kurt Zeitzler.